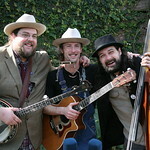 Here's the plot: Three guys from the North meet at Ithaca College and throw themselves into the sonic South, splashing the music of the Delta, Kentucky, Nashville and New Orleans all over the place through the use of traditional string instruments, played in non-traditional ways. 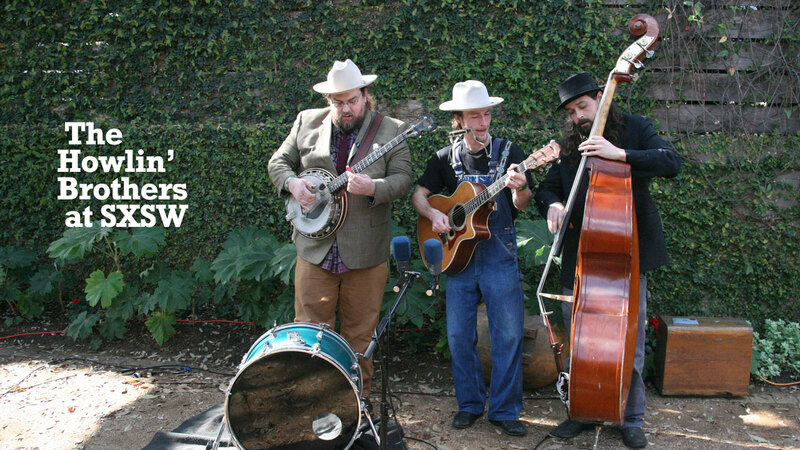 "Gritty, loose and sloppy are part of our mantra," say The Howlin' Brothers (@HowlinBrothers), and you can bet they had a helluva time creating their latest album, HOWL, with Brendan Benson as producer. 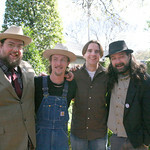 Ben Plasse (upright bass, banjo), Ian Craft (fiddle, banjo) and Jared Green (guitar, harmonica) have settled in Nashville, and adopted the slogan "bluegrass, heartache and soul." 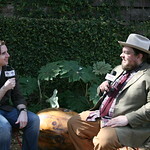 Not actually brothers ("we fight like brothers," they say, "just some of the time, though"), the trio met up with Russ Borris and Team FUV at the Hotel San Jose in Austin, TX during SXSW 2013. 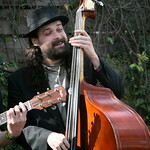 While Jerry and Ben started out on guitar, Ian started on percussion (a steel drum band, no less) – but it wasn’t that big a leap to the strings. 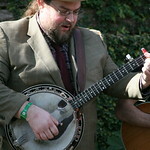 “My Mama’s family is all Quebecois, so (banjo) was always part of my life,” says Ian. 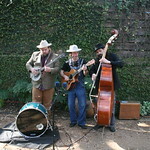 The trio dived into the more old-time, bluegrass scene inspired by Oh Brother Where Art Thou? 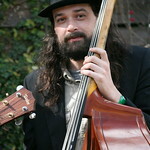 and the rest is the start of history. 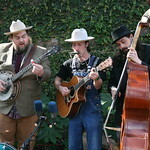 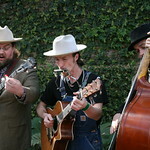 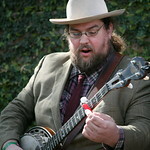 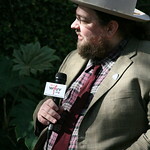 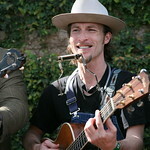 The Howlin’ Brothers graced the courtyard of the Hotel San Jose with a live version of “Big Time,” the song that features guitar work from Warren Haynes on HOWL.